The same care that Luciano Zonta puts on the production of its furniture is offered to the costumers in the Zonta Atelier. It presents itself as a conceptual place, which reproduces an elegant domestic scenery, furnished with the company’s signed items. The ultimate achievement is the creation of emotion, through pioneering curiosity and unlimited boldness: the authentic Zonta signature. The company has always distinguished itself in the design sector, not only for its tradition and craftsmanship, which haven’t been lost over time, but also for the high quality of the raw materials. 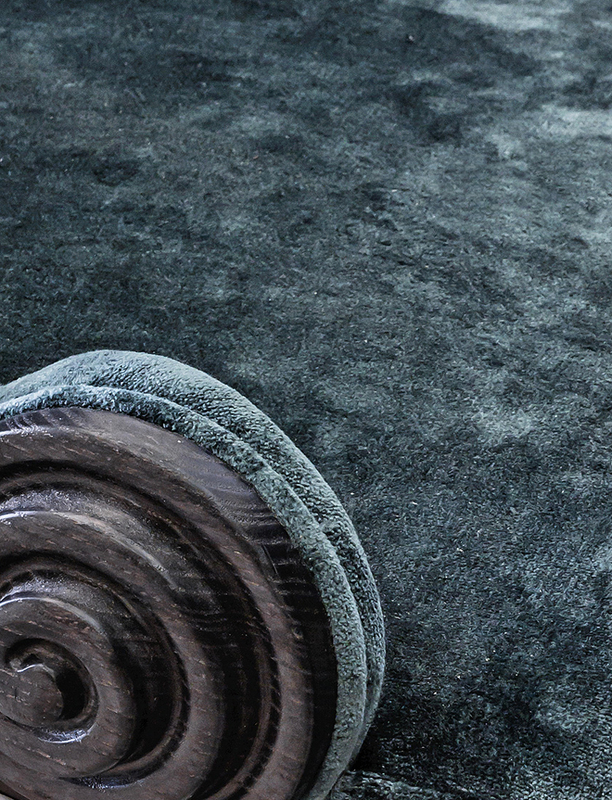 Wood, fabric and leather, metal, glass, marble and upholstery are just some of the materials that Luciano Zonta prefers for the creation of its products, always on the lookout for original high quality solutions. Handcrafting tradition together with technical innovation have set up an heritage to rely on in order to find and handle the best materials. Through the knowing hands and under the expert eyes of our craftspeople, miracles embody shape and colour, volume and meaning. The ultimate achievement is the creation of emotion, through pioneering curiosity and unlimited boldness: the authentic Zonta signature. Luciano Zonta’ s products worthily represent the meaning of Made in Italy. Starting from the design, creativity and style – to the real production, the whole supply-chain-process is realised in Italy by qualified personnel with greatest expertise in the furniture field. Traditional craftsmanship, together with technological progress, has set up a heritage on which rely for the identification and processing of the best materials. The company has always been known in the design sector, both for its tradition and craftsmanship, and for the high quality of the materials. The company arises as a meaningful choice among the business operators, for both the products and the service it never fails to guarantee. The intrinsic quality of the production is well known and results not only from the technologies employed and the accurate selection of the materials, but mainly from the distinctiveness of our company’s designs. 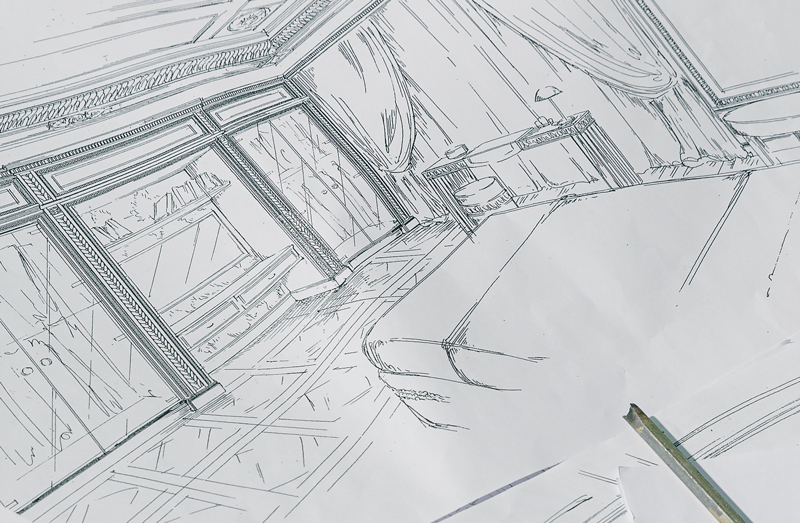 The project is displayed through the most advanced 3d technologies and precious handmade prospective drawings. Luciano Zonta starts the production process from raw wood certified FSC in accordance with the strictest regulations in the field of environmental respect. 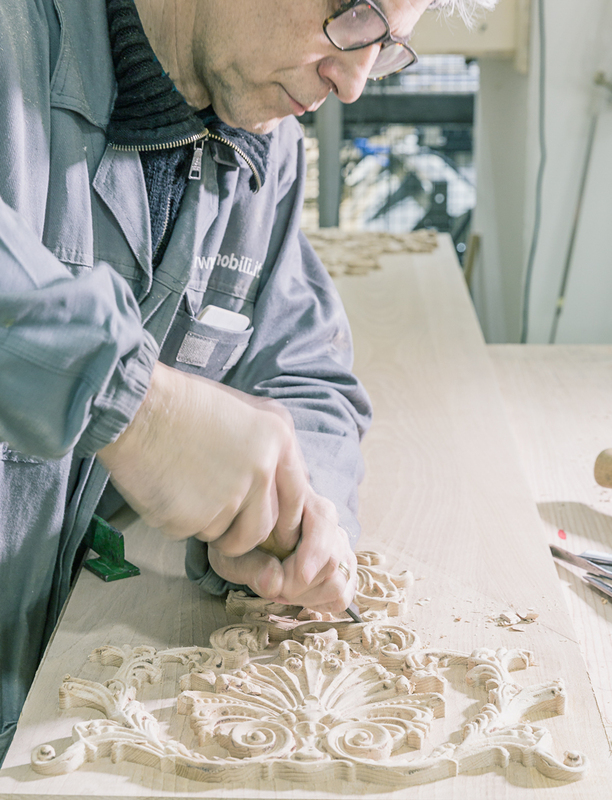 A specific drying process is carried out by our technicians for immediate use of wood. We reserve major attention to handling technologies and safety within the production area. With the use of industrial machines we manufacture cuts and exclusive wood works. A sophisticated CNC machinery allows us to obtain highly detailed three-dimensional processings. The last but important step is pre-assembly and quality control carried out with the best attention and diligence. Handmade painting by skilled personnel plays a significant role in the production process. A whole area of the production units is dedicated to the painting and drying of components. 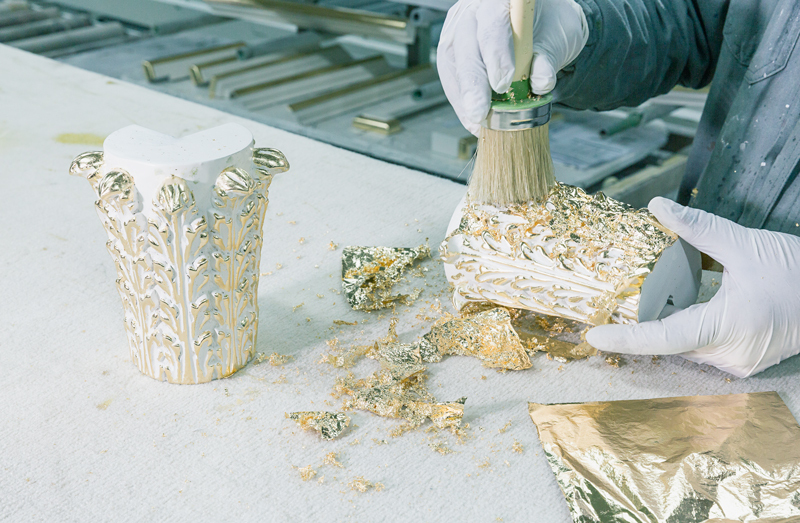 One of the steps following the painting process is the handmade finishing of each elements. Luciano Zonta dedicates great space to prestigious finishes created using strictly traditional techniques which give charm and elegance to the project. Furniture is now ready for shipment and packed properly to be shipped to our customers all around the world.